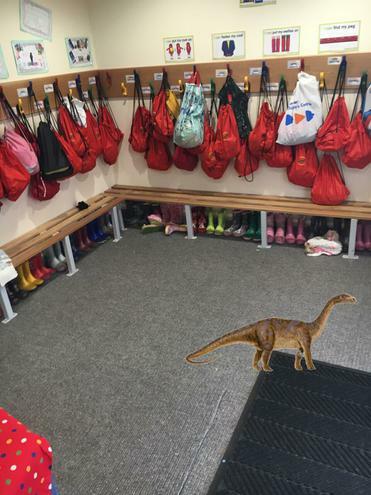 On Thursday we went on a dinosaur hunt after receiving a phone call from a concerned neighbour! 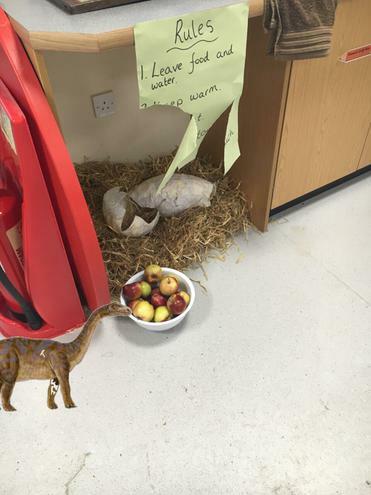 We found lots of clues but sadly no dinosaur :(. We will keep looking!! 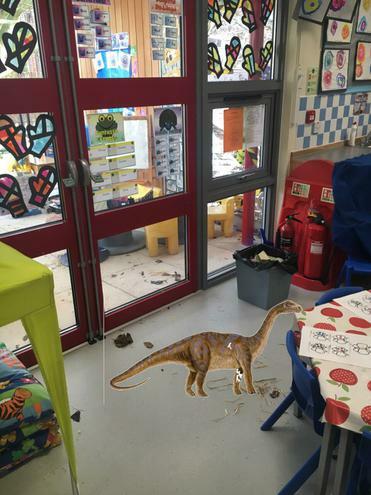 In the meantime the children have been very busy in the classroom making fossils, digging for bones and using the play dough to make their own dinosaur! On Tuesday the egg had hatched!! 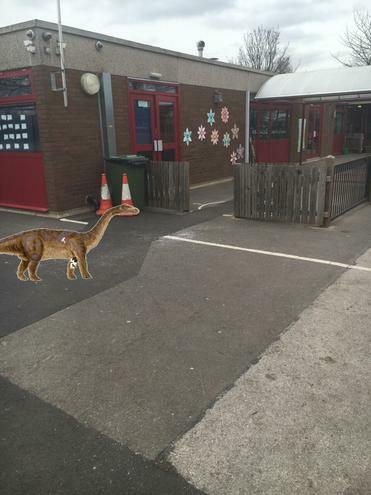 The children were very excited but were sad that the dinosaur had gone :(. So overnight I switched on the CCTV cameras in hope we would catch a sighting of him! 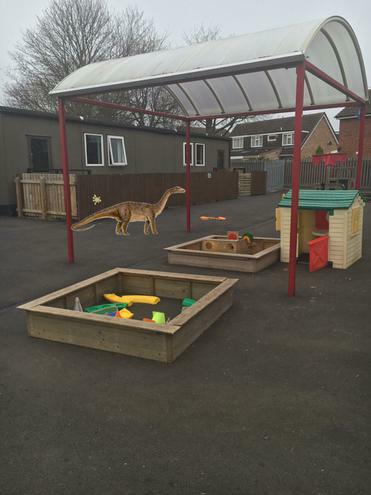 Our new topic is Dinosaurs! 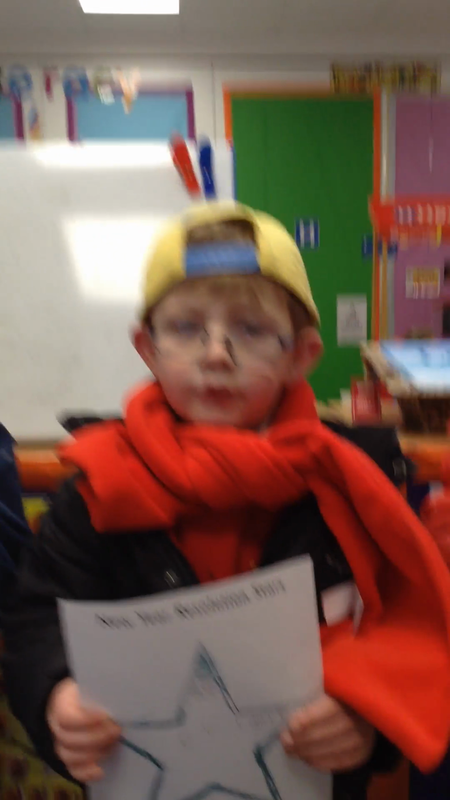 We loved learning about Winter but we have now started a mini topic on Transport. 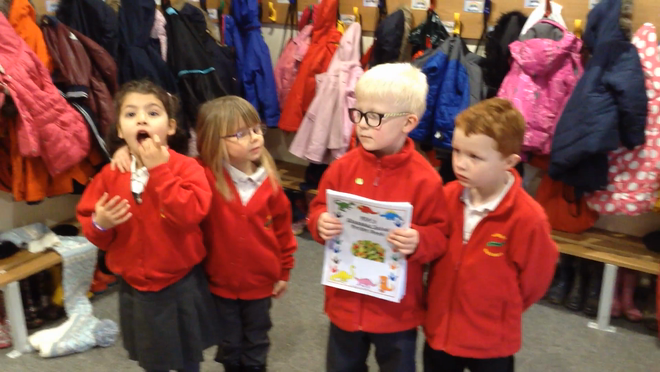 Here we are investigating Ice! 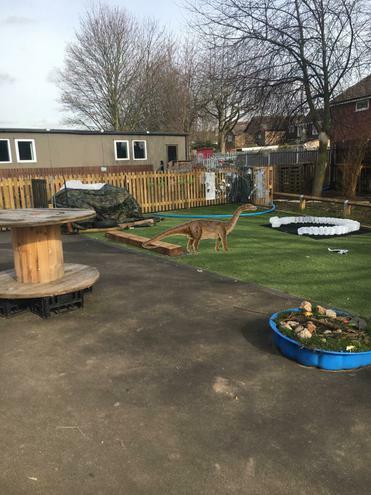 The children have settled back into the school routine well. This week we will be looking at the different Planets and learning some things about them! NASA for kids! An exciting website to help children learn more about Space.